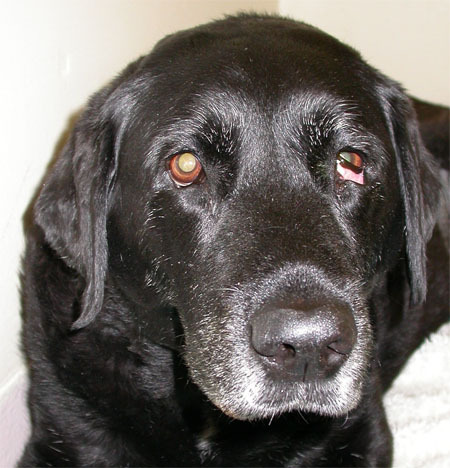 This dog was presented to the vet school with a pyrexia of unknown origin but also this ocular appearance. What is the likely condition and how would you investigate further? 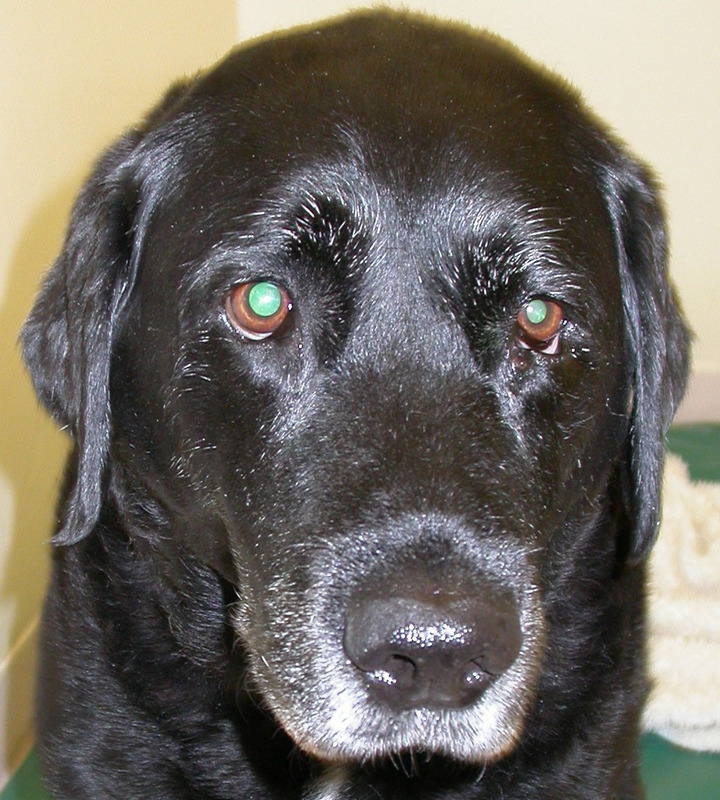 Here is the dog 12 minutes after the administration of 0.5% phenylephrine. The dog has Horner’s syndrome with a lesion in the third order neuron as determined by the speed of resolution of signs. The third order nerve runs from the cranial cervical ganglion through the middle ear and on to the eye. Quite where the lesion is has yet to be determined but most of these are idiopathic and resolve with around 2 months. This entry was posted in Cases and tagged dog, Horners syndrome. Bookmark the permalink.